If you are running a business, then there will be a chance that you regularly worry about the things that you can do in order to keep it clean. You might have considered hiring a janitorial cleaning company, and there are a few reasons that it is a good idea to do this. The first reason is that it is likely to save you a lot of money in the long term. If you were to use your current staff to clean the office, then there is a chance that you would be paying them a high wage for something that could be done by somebody in the field of cleaning and with the expertise and knowledge. If this is the case, then you will find that a janitorial cleaning company like ours could provide staff who would work for a more comfortable rate than anybody that you could have in your own company. In addition to this, you will be able to make a cleaning schedule that will meet whatever needs you might have. 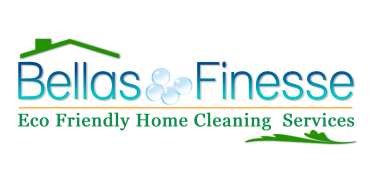 At Bellas Finesse we will work with you to make sure that you are able to get the service that you need at a time that would suit you. One of the best things about hiring us is the fact that you can be absolutely sure that what you’re getting is the thing that you need. We have the experience to understand exactly what is needed, and this means that you don’t have to worry if you don’t always have all of the information that you need. We will be able to bring all of the required equipment, and therefore you would not have to pay to buy any of this for yourself.